The conference was part of the new Kingston Shakespeare Seminar in Theory (KiSSiT). The conference will include a lecture by Simon Callow CBE, a trip to Garrick’s Temple in Hampton, a performance by the Hampton Players of ‘The Celebrated Mr Garrick’ and the British premier screening of Simon Callow’s new film Miss in her Teens, based on David Garrick’s 1747 play of the same name. David Garrick’s Kingston connections date from 1754, when he bought the house beside the Thames known ever after as Garrick’s Villa, and built his Shakespeare Temple, where he would be famously painted by Zoffany. 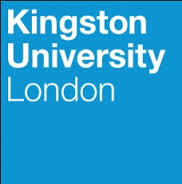 So, as part of the 2014 Kingston Connections programme of events, Kingston University and the Rose Theatre will jointly host an academic conference to celebrate the great Shakespearean actor and director and commemorate his legacy to the Royal Borough. Actor, manager, playwright, versifier, Garrick excelled in many parts, and was possibly both the most praised and vilified cultural celebrity of his generation. Authors whose plays he rejected and performers he did not employ were not sparing in their attacks. “Garrick and Shakespeare” seeks therefore to focus on his achievements as a Shakespearean interpreter and impresario, and to re-examine Garrick’s controversial reputation. View the full programme (PDF). Find out about other Shakespeare lectures at the Rose here. Richard Wilson will also be giving his inaugural lecture at Kingston University on October 30th.